There are a lot of interesting things to expect from Apple’s March event this year, but the rumor of an upcoming iPad Air 3 release is perhaps the most anticipated one of them all. We’ve seen a lot of leaks, drawings and even possible renderings and pictures of the device too. Let’s take a look at what we know so far, shall we? This is one of the more plausible rumors we’ve heard so far. Apple might try to bump the iPad Air 3’s audio capabilities by adopting the 4-speaker design we’ve seen on the iPad Pro. In fact, recent leaks published by Engadget and 9to5Mac suggests that the upcoming iPad Air 3 will indeed have 4 speakers. A better set of speakers will make the iPad Air 3 perfect for multimedia viewing. With Apple pushing hard on its content distribution channels, it will not be surprising at all to see this feature being added to the new tablet. We’ve all heard this before: the new iPad will have a stunning 4k display. It is not too much to ask at this point, especially since a lot of other Apple devices are incorporating 4k displays; Apple can surely make one for the iPad Air 3. That said, a lot of experts seem to think that a 4k display will put the iPad Air 3 on top of the supposedly higher segmented iPad Pro, which is very uncharacteristically Apple. I think a better Retina Display with improved depth and screen resolution is to be expected, but don’t get your hopes up just yet. These last two rumors are the ones that excite me the most. Apple did a very good job designing a smart connector for iPad Pro’s keyboard. This eliminates the need for Bluetooth pairing and makes much more sense for everyday users. 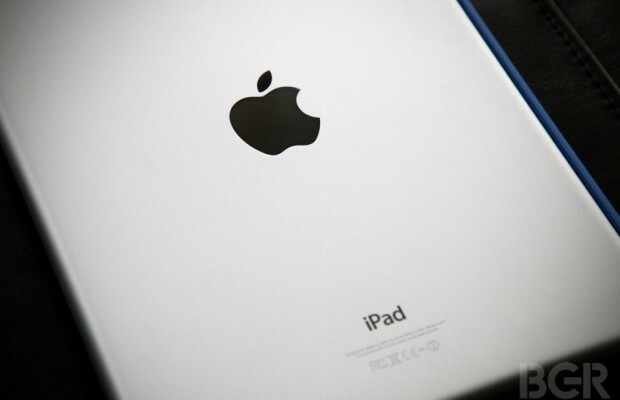 We could very well see the technology being handed down to the upcoming iPad Air 3. As for support for Apple Pencil, it will certainly make the iPad Air 3 a killer tablet. We’ve all thought of the Apple Pencil as a bit ridiculous at first, but try it and you’ll find it to be immensely useful in different situations. For me, the gigantic size of the iPad Pro is what’s stopping me from using the Apple Pencil more. What about you? Which features do you expect to see announced on this year’s March event? Let us know if the Comments section below.